Life is never peaceful in Chris Erskine's house, what with the four kids, 300-pound beagle, chronically leaky roof, and long-suffering wife, Posh. And that's exactly the way he likes it, except when he doesn't. Every week in the Los Angeles Times and Chicago Tribune (and now and then in many other papers), Erskine distills, mocks, and makes us laugh at the absurdities of suburban fatherhood. And now, he's gathered the very best of these witty and wise essays--and invited his kids (and maybe even Posh) to annotate them with updated commentary, which they promise won't be too snarky. This handsome book is the perfect gift for the father who would have everything--if he hadn't already given it all to his kids. 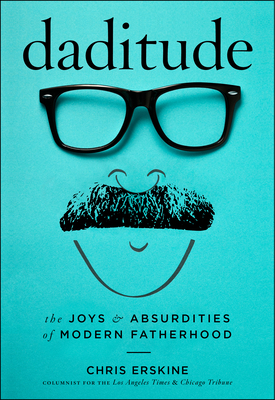 Chris Erskine is a longtime humor columnist who mines the rich worlds of fatherhood, marriage, and suburbia; his columns are featured weekly in the Los Angeles Times and Chicago Tribune, and they also appear in many other papers nationwide. The father of four and resident of a quiet L.A. suburb, Erskine is also a staff editor and writer at the Los Angeles Times, as well as the author of two previous books, Man of the House and Surviving Suburbia.